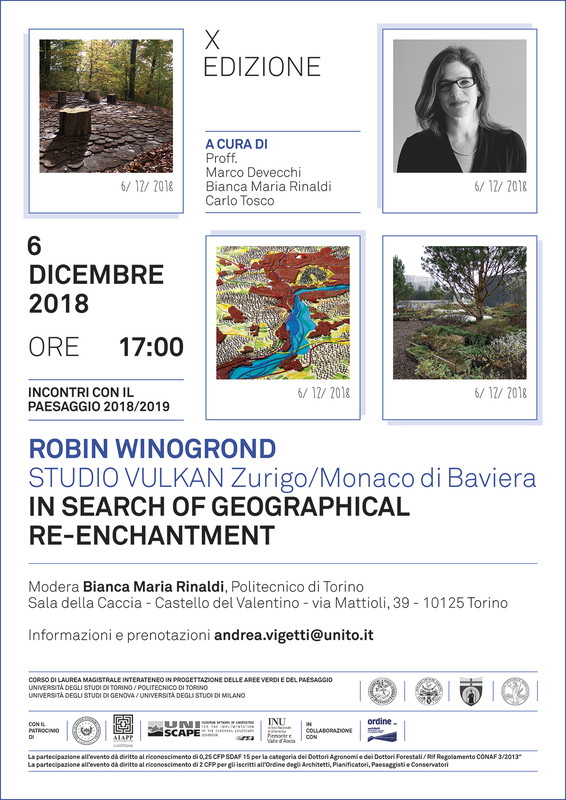 Seminar "In Search of Geographical Re-enchantment"
The seminar "In Search of Geographical Re-enchantment" takes place on 6th December 2018 (5:00 pm) at Castello del Valentino (sala della Caccia - Viale Mattioli 39 Turin). The event is organised by Prof. Marco Devecchi (University of Turin), Prof. Bianca Maria Rinaldi and Prof. Carlo Tosco (Politecnico of Turin). This page has been visited 2 times in the last year. Source: Google Analytics.